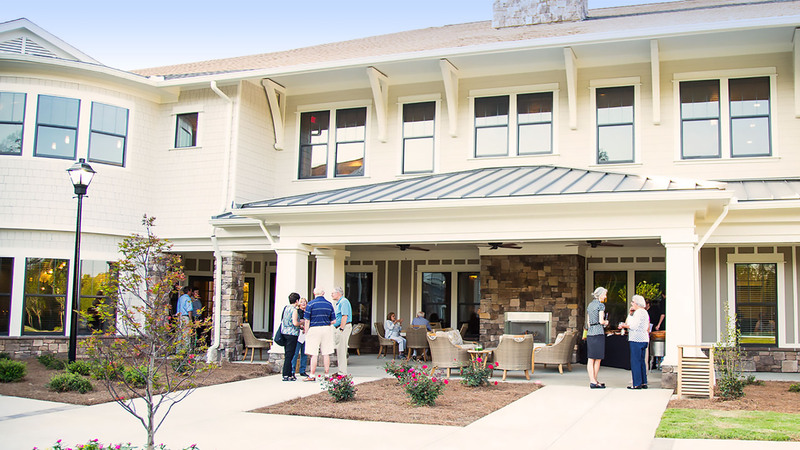 In early 2013, Daniel Communities was approached by Senior Southern LLC to assist with their strategy to establish a resort-style senior living community at the award-winning lake and golf resort, Reynolds Lake Oconee. Senior Southern LLC had watched the success of Daniel’s Danberry at Inverness community and its association with nationally acclaimed provider Life Care Services, and sought to grow their holdings beyond their Atlanta-based footprint. Daniel Communities consulted Senior Southern in nearly every aspect of the community’s development from the initial prospect surveys and town hall meetings, to site selection, design review and permitting, to support of tax-exempt bond financing. In June 2017, the Glen at Lake Oconee opened the its first 100-unit phase offering independent, assist living and memory care residences all set within the resort community of Reynolds Lake Oconee. Lake Oconee’s first third age community offers nationally acclaimed senior services merged with a comfortable lakeside resort lifestyle.